Startup LocalResponse Targets Twitter Conversations With Display Ads Tweet a complaint about bad AT&T cell coverage? Don't be shocked to get an ad from Verizon with information on how to switch carriers the next time you sit down at a PC. Soon, big brands like Coca-Cola, Verizon, Nike and L'Oreal and others will start serving ads targeted to what consumers are saying in social media. These brands and 11 others have teamed up with New York City-based LocalResponse on what it calls "social intent marketing," which means ad that respond to social media conversations in real-time. 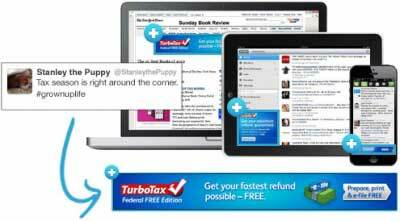 Using LocalResponse's technology will allow these brands to serve ads targeted to what customers tweet. If a Twitter user tells her followers she just finished a jog, Coca-Cola can immediately deliver her a Dasani ad on almost any website backed by an ad network such as AppNexus. The technology works by connecting cookies to Twitter accounts. These cookies last for 30 days and allow advertisers to immediately target users on PCs based upon the language used in their tweets. The technique results in higher click-through rates, according to CEO and co-founder Nihal Mehta. So far, LocalResponse's technology has been limited to serving banner ads on mobile devices. Adding this technology to the desktop brings the company one step closer to developing a frictionless cross-device ad tracking system. In order to do that, however, the company will need to extend beyond just Twitter and outside the U.S. LocalResponse currently tracks the tweets of 80% of U.S. Twitter users--approximately 40 million people--Mehta said. Facebook, meanwhile, has more than one billion monthly active users worldwide. Mr. Mehta said LocalResponse is close to establishing partnerships with other social media outlets, but would not say which ones. Working with other social companies would help the company create more robust social profiles and offer more highly-targeted ad opportunities to brands. "Last year, our data was predominantly all from Twitter," he said. "That will be less than half of our data signal by the end of this year." LocalResponse--founded in 2007--earned $4 million in revenue in 2012 and projects to earn at least three times as much this year. Working with marketers of this caliber will certainly help them achieve that goal. Six of the companies using LocalResponse's Desktop Intent Targeting arere among the 100 largest U.S. ad spenders, according to Ad Age's DataCenter. Verizon, ranked No. 3, and L'Oreal, No. 9, were in the top 10. Nike (42), Coca-Cola (66), Walgreen Co. (78), Dell (92) are also top 100 marketers now working with LocalResponse. Other partners include 7-Eleven, American Express, Arby's, Emergen-C, Sam's Club, T-Mobile, Quidsi and the Veterans of Foreign Wars.